Dodgy are back out on the road in May to celebrate 20 years since the release of their debut album! The new tour, will feature 2 albums! 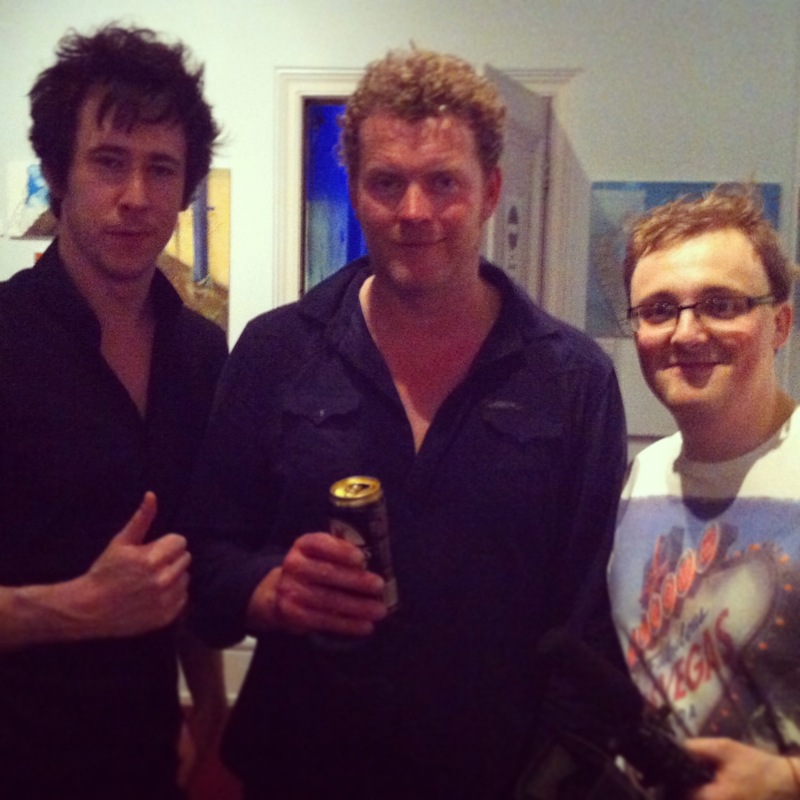 So recently KAB Media were asked to shoot a gig for none other than the famous Dodgy! It all came about when shooting the Modern Alarms at the Black Rooms with Manchestertaper. The guys told me about another gig they had already booked for Dodgy’s 2013 tour – Back to Back. First of all, Dodgy was awesome! They not only treated us to some of their old classics like “Good Enough” and “Thinking of Me” but a whole host of their newer songs! Its rare that a band can produce music that holds up to what they have done before after such a long break, but these guys managed it well! Dodgy gave us two hour long sets of brilliant music, the first set was from their most recent album and then the second was some of the classics we have all come to know and love. It was a hard shoot! Two solid hours of a five camera set up creates a hell of a lot of data and a lot of work! One camera capturing a continuous shot, two roaming cams, one behind the stage and another one roaming behind the sound desk! We have a LOT of footage to sort and organize. It was all in all a great night, the guys from Manchestertaper got some brilliant recordings, we got some awesome footage and we all got to watch a really good show! – Its defiantly worth going to and tickets are available here! What makes jobs like the great is the appreciation that we get from the Band. We met up with them afterwards and they were very appreciative of the work that we were putting into the filming and recording of it. The the left you can see a picture myself and Chris Cronin (out extra camera op0 we managed to snap with the lead singer of Dodgy, Nigel Clark! Well since then KAB Media has been to on tour in Italy with the Hands of Time Band or HOT as they have come to be known. So its only now that I have had chance to make and upload this little taster of what it was like at the gig! Hope you enjoyed the little promo! More news on KAB Media’s visit to Italy to film the Hands of Time and more on Nemesis, including the trailer soon! So I’ve recently been working on some footage captured at a gig I shot! The gig in question was a closed gig at the Black Rooms in Manchester above the Ducie bridge pub, put on by Manchester radio online’s Ripman Show. Headlining the gig the Modern Alarms, a brilliant band to come out of Manchester and one of my new favorites! The Modern Alarms have a brilliant stage presence and some really, really catchy music, Voodoo Dancin’ Monkey Man in particular! I found myself singing it for at least a day! Dom, the lead singer is seriously energetic on the stage and its brilliant to watch and brilliant to listen to. Id love to do a music Video for these guys one day! To watch Voodoo Dancin’ Monkey Man, I have it here! To watch the full gig, song by song head over to our RECENT VIDEO’S page where you can watch them all on a playlist! Well that about concludes what I have to say, for now at least. Ill be back with some more news about KAB Media’s new film NEMESIS soon! So LIKE our Facebook page to keep updated or/ and our TWITTER FEED! P.S. If you want to get in contact and use the services of KAB Media and Manchestertaper.com to shoot one of your gigs, then please use the Contact page! 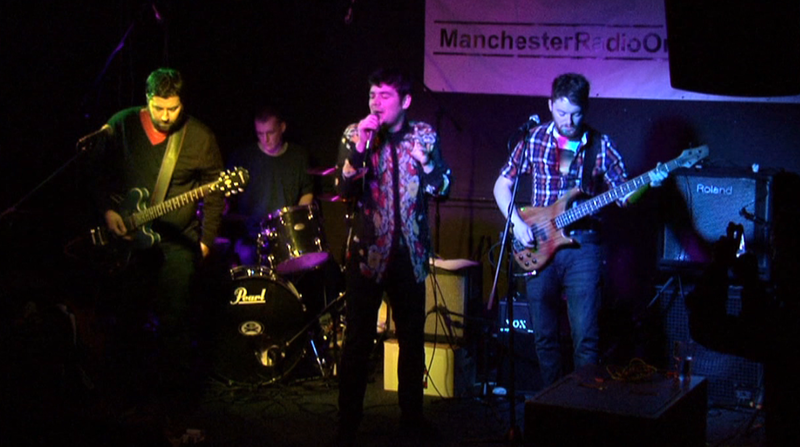 Manchester Radio Online‘s “The Ripman show” Presents: The Modern Alarms Playing at the Black rooms in Manchester! Trevor, a lone “snake in the grass” stumbles across a helpless young woman all alone in an isolated area of the countryside. 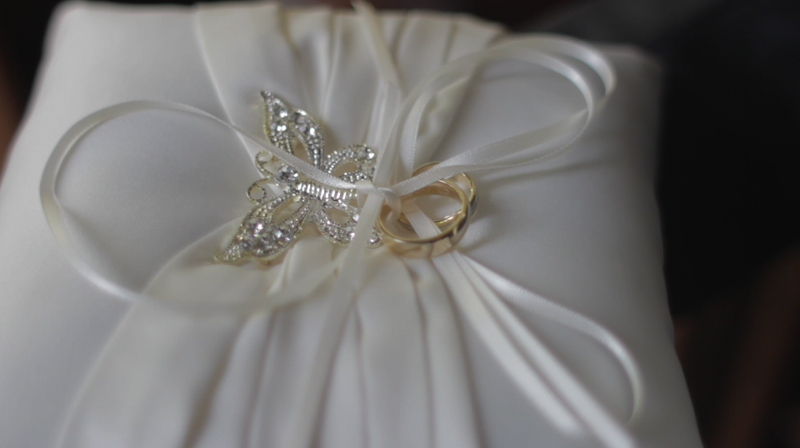 As the name suggests, I have recently been working on a wedding. I thought it was worth mentioning to you guys as it was such a good day and such a long, hard but also enjoyable edit. Now that I’m exporting it for the last time, im feeling a little nostalgic. Firstly the Wedding of Mr and Mrs Drewery, I shot this with a long time colleague and good friend Chris Cronin, it was a brilliant shoot. What an amazing day the Bride and Groom had. I always enjoy wedding shoots, the atmosphere and general positivity in the air is a brilliant thing on a shoot, everyone laughing and joking pulling face at the camera, I even had a kiss blown at me part way through the day…it was from the groom but a kiss is a kiss, right? (that’s what I’m telling myself). What was brilliant about this wedding is how welcome we were made to feel by the Bride and Groom and the family and friends. From the Bride getting ready in the morning up until we left in the evening everyone was very very accommodating! 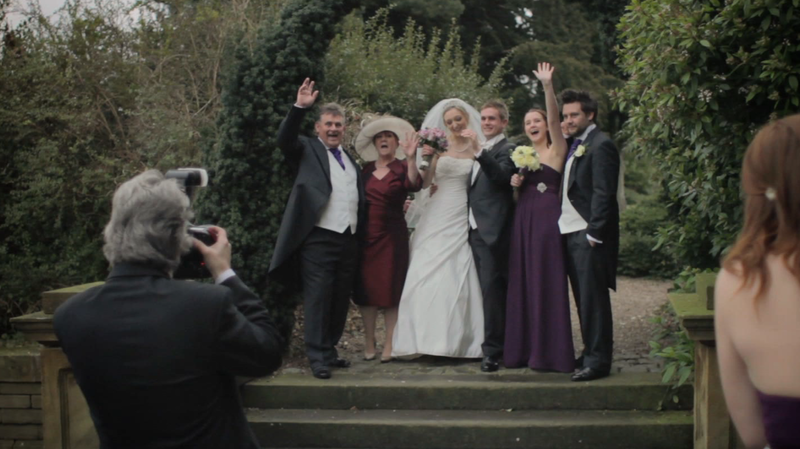 Great really, it makes it easier to do our job and makes the wedding video lot more fun especially when people don’t avoid the camera! As far as weddings go this was a really good one, the friends and family were bubbly and cheery, the speeches were touching as they were funny and the Bride and Groom were obviously made for each other. 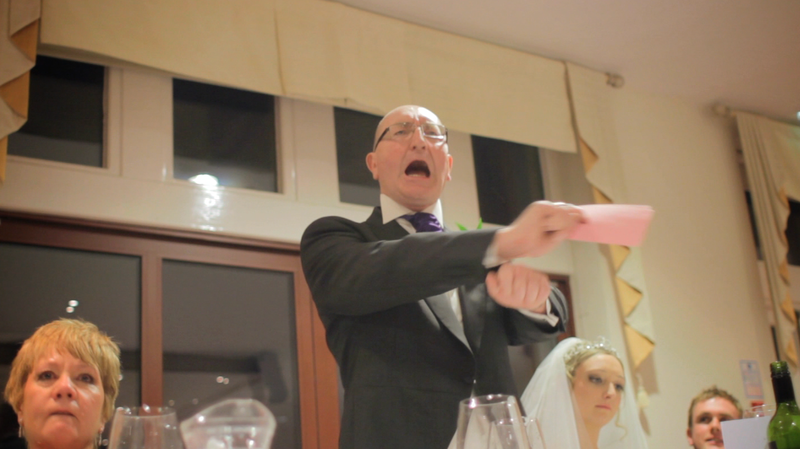 When I first got the verdict back on the wedding video, I was told the Bride broke in to tears at four points in the first showing, luckily these were the good kind of tears, not the bad kind! Without wanting to sound too sadistic, its brilliant to know that something we managed to capture can bring so much emotion to the surface, BUT it wouldn’t have been possible without the friendliness and positivity of everyone on the day. 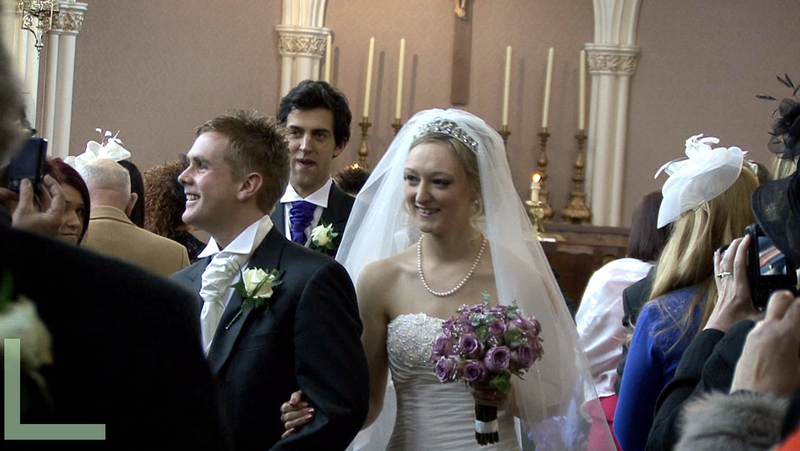 So a big thanks to the Newly married Mr and Mrs Drewery and an even bigger CONGRATULATIONS! P.S. If you enjoy KAB Media’s blog then Like our KAB Media Facebook page to keep up to date with new posts. The same goes for our Twitter so follow us for updates and new Blog announcements. Right this time im coming at you not from the comforts of my house, where I do most of my editing work, which is usually when I write these things…long render times do have their uses after all. 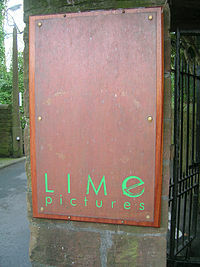 Today I am sat in the canteen of Lime Productions in Liverpool, The home of Hollyoaks, The only way is Essex and a few other successful shows. I have been spending the day, for the first time, as an extra, or as we are sometimes called, “background artiste” Personally I think of myself as a ninja, im that dude you never see in the background snooping around. – the very Definition of a ninja! 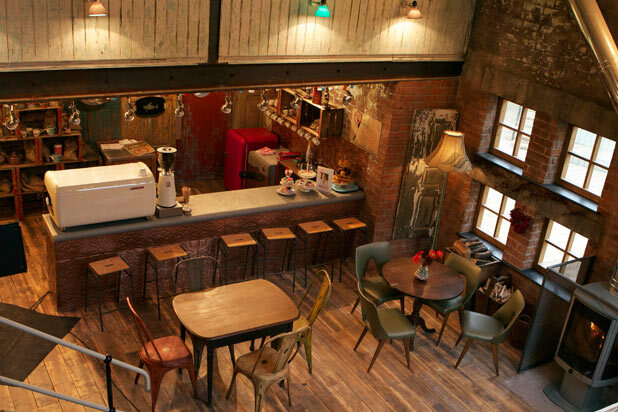 My role today was “Coffee Shop Customer” in the Hollyoaks set, College Coffee. We Started shooting in the coffee shop this morning at around 8:30am, and then another little bit of the same scene at around 11.00am. The first scene I was to walk across the shot and out of the door. Did it a few times, maybe four or five and then the shot changed to the point where i wasn’t in it, so i got to sit back and watch the set run. 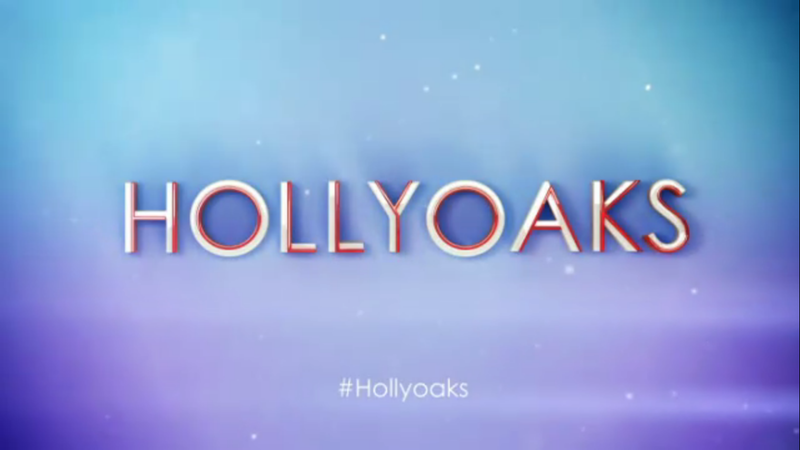 Its brilliant to see how a set like Hollyoaks runs, compared to a film set. Its good to see a crew so familiar with each other that they can laugh and joke, and so familiar with the sets that they can whirl through the takes. Well we got off the set at about 12:30ish and its now 17.05 and we are sat in the canteen waiting to be called. Thus the life of an extra. We did go back to set briefly for another scene that was set for another episode but we were sent back until further notice. It’s a strange way to earn money, and somewhat unpredictable it seems. Originally a group of ten, we were split into two fives. The other five were sent home after dinner at about 1:45. We got kept on for another bit, is that good or bad, im not sure? If we get called back to set we get a bonus, if we don’t….well we don’t. However, im sat here writing this blog…and being paid to do it, kind of. So that’s an upside. Ok so im back in the comfort of home now. To end our day the four of us were put in another episode, this time in a different set. A set that until this very afternoon was still being built. So given that the set was new and that we were the first unit to shoot on it, im not really sure if im allowed to say where and what it was so im not going to. However it was a short shoot and all i had to do was a little more walking back and forward, making this particular set look busy. We finished at 6:30. Thus wrapping my day on Hollyoaks. All in all it was an interesting day. It’s good to be working on a set, even if its on the other side of the camera and to be honest, it always good to work in front of the camera with a new crew who don’t know you. It allows you to see the same mirror from the other side and I think that its really helpful for crew to know what its like on the other side of the cam. Been an extra is also a brilliant way to network and meet like minded people, a lot of the extras are struggling actors and performers and as a film maker you can never be short of actors and actresses. Im looking forward to the next day of extra work and hope it will be soon. More Bloggage soon, so like the FB page and add KAB_Media on twitter, to keep up to date. Recently new uploaded to KAB Media’s Database. Knuckle Ups New Breed event, specialising i new and undiscovered fighters. It’s a Brand new Year and I have been Very Lazy with my Blog Posts, from now on I aim to be a little more regular with them, so sorry for the loooong (very long) absence of said bloggage! So my website has had a nice re-vamp, thanks to The Really Good Website Company (http://tinyurl.com/awxy3jq) If you like what they have done then give them a try! Since my last blog, ive been working on a few different projects. Namely…. Firstly ive been working as and Assistant Director for a talented Director, Chris Cronin, I have worked on two films of Massive Proportions – the first being “Sophies Fortune” a short action/ Adventure film in the vain of Indiana Jones and Uncharted. The films has been a massive shoot, spanning over a year! One of the Dads bringing down the Hurt! One quiet moment, Story time with Butch. 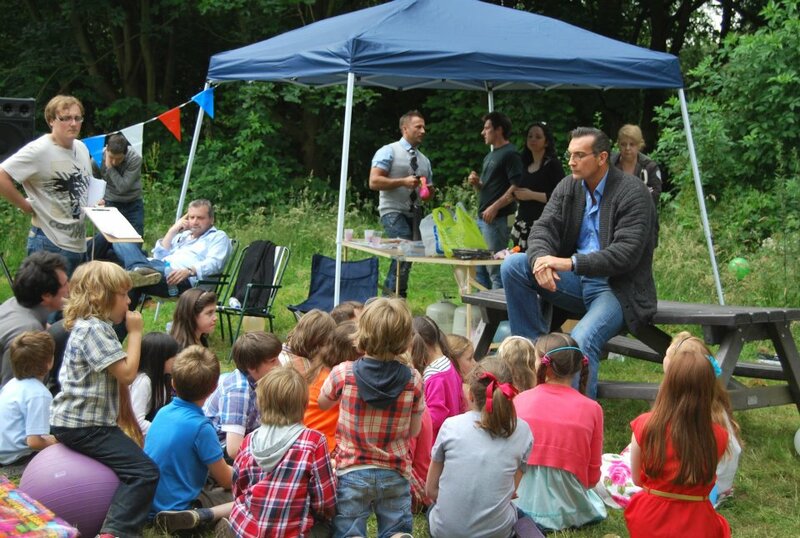 …to a small birthday party scene with around Forty kids under the influence of a sugar rush galavanting around the set, mauling the crew and cast and generally been….well, kids. Still (like every sentry in the film) SF is shot! and now in post production, so I’m looking forward to seeing the end result. For more info about this Project head over to my Filmography page. So as Sophies Fortune went so well, Chris asked me to do the same on his next film, this one a post apocalyptic short set after electrical storms have wiped out all electrical Technology! Brilliant I thought! 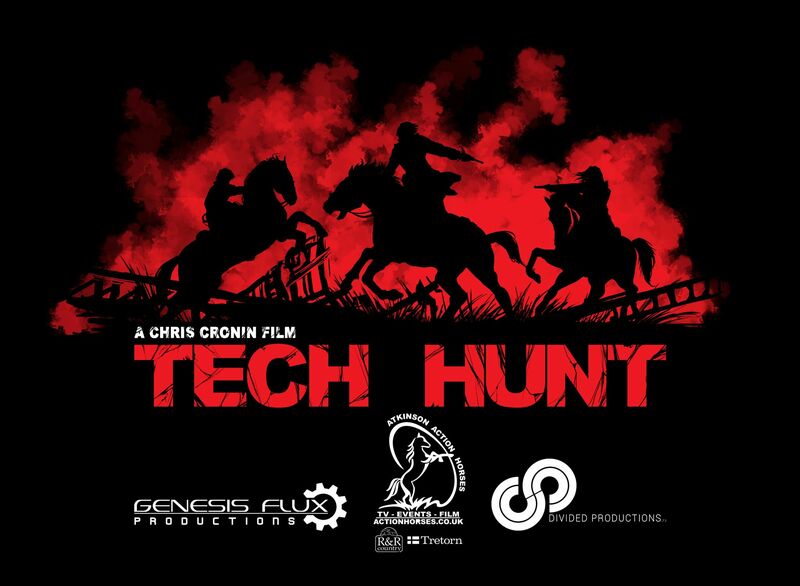 Ever up scaling, Tech Hunt now has a thirty Horse chase scene with Tech Hunters blowing each other away to find the lost Tech horde of times past! Again this is a massive Project as an 1st AD to manage and arrange But very rewarding! And now with 80% of Tech Hunt shot and in the bag and Sophies Fortune in full Postproduction I can finally find the time to get back on with my Blogs! Woop! Still, I have had a little time to put aside to re-cut my last film, Walking on Sunshine. Now recut and renamed “Walking on Sunshine: A collection of memories” has done a small tour of UK film Festivals. To see more about Walking on Sunshine click here. 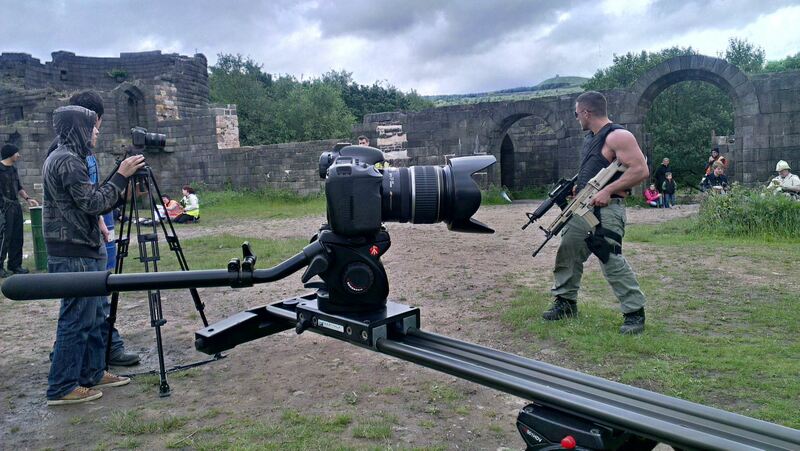 I’m also currently in Post Production of one of my own films “Nemesis”. When I read the script I instantly thought that is something that I could get my teeth into. So far the film is sitting in my Final Cut awaiting some Foley sounds and a score, as well as a few small touch ups, but you can expect a Trailer soon and the Film will hit the Festival Circuit at the end of Feb (hopefully). Ill Blogg again about this when its released along with the full trailer! If you would like to see a little more about NEMESIS click Here. Well for those of you still reading; I thank you for staying with me to the end and slugging out this wall of text! Keep an eye out for my new Bloggs (which I hope will be more recent) By liking the KAB Media FB page or Following KAB Media on Twitter! Text Attack over – Buy your Peepers a drink and put them to bed.